"In the second volume of the Southern Reach Trilogy, questions are answered, stakes are raised, and mysteries are deepened. The answers are far from reassuring". In Annihilation, Jeff VanderMeer introduced Area X--a remote and lush terrain mysteriously sequestered from civilization. This was the first volume of a projected trilogy; well in advance of publication, translation rights had already sold around the world and a major movie deal had been struck. Just months later, Authority, the second volume, is here. For thirty years, the only human engagement with Area X has taken the form of a series of expeditions monitored by a secret agency called the Southern Reach. After the disastrous twelfth expedition chronicled in Annihilation, the Southern Reach is in disarray, and John Rodriguez, aka "Control," is the team's newly appointed head. From a series of interrogations, a cache of hidden notes, and hours of profoundly troubling video footage, the secrets of Area X begin to reveal themselves--and what they expose pushes Control to confront disturbing truths about both himself and the agency he's promised to serve. And the consequences will spread much further than that. The Southern Reach trilogy will conclude in fall 2014 with Acceptance"--,Provided by publisher. VanderMeer, J. (2014). Authority. First Edition. New York: Farrar, Straus and Giroux. VanderMeer, Jeff. 2014. Authority. New York: Farrar, Straus and Giroux. VanderMeer, Jeff, Authority. New York: Farrar, Straus and Giroux, 2014. VanderMeer, Jeff. Authority. First Edition. New York: Farrar, Straus and Giroux, 2014. Print. 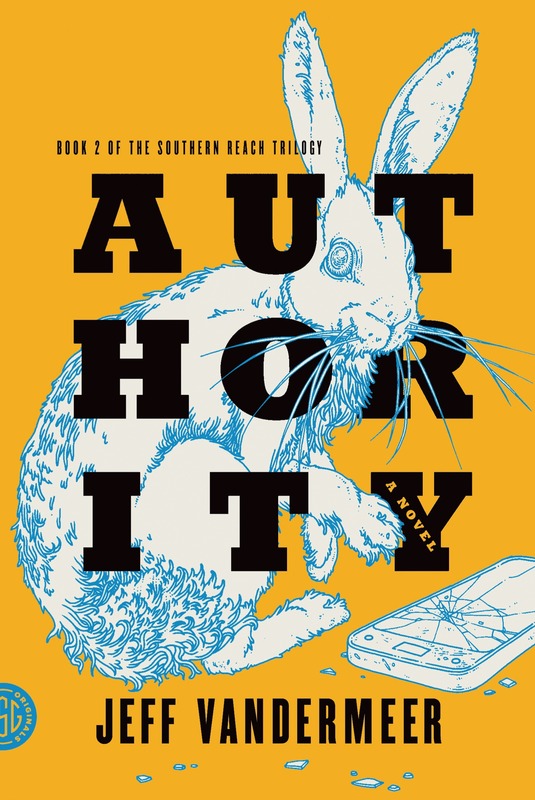 |a Authority / |c Jeff VanderMeer. |a New York : |b Farrar, Straus and Giroux, |c 2014. |a 341 pages ; |c 19 cm. |a "In the second volume of the Southern Reach Trilogy, questions are answered, stakes are raised, and mysteries are deepened. The answers are far from reassuring". In Annihilation, Jeff VanderMeer introduced Area X--a remote and lush terrain mysteriously sequestered from civilization. This was the first volume of a projected trilogy; well in advance of publication, translation rights had already sold around the world and a major movie deal had been struck. Just months later, Authority, the second volume, is here. For thirty years, the only human engagement with Area X has taken the form of a series of expeditions monitored by a secret agency called the Southern Reach. After the disastrous twelfth expedition chronicled in Annihilation, the Southern Reach is in disarray, and John Rodriguez, aka "Control," is the team's newly appointed head. From a series of interrogations, a cache of hidden notes, and hours of profoundly troubling video footage, the secrets of Area X begin to reveal themselves--and what they expose pushes Control to confront disturbing truths about both himself and the agency he's promised to serve. And the consequences will spread much further than that. The Southern Reach trilogy will conclude in fall 2014 with Acceptance"-- |c Provided by publisher. |a VanderMeer, Jeff. |t Southern Reach trilogy |v bk. 2. |a VanderMeer, Jeff. |t Southern Reach trilogy |v book 2.